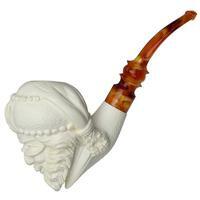 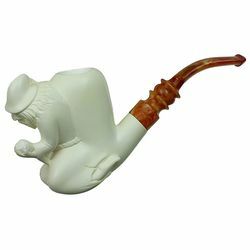 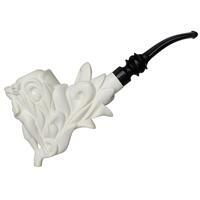 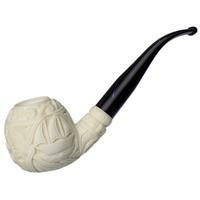 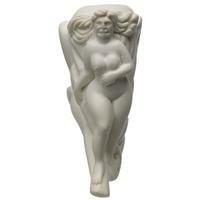 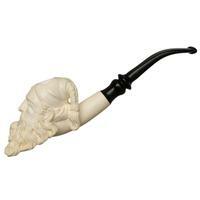 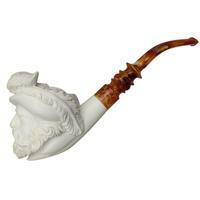 This poor woman adorning the fore of this AKB meerschaum has lost all her clothes. 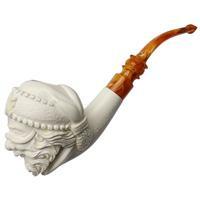 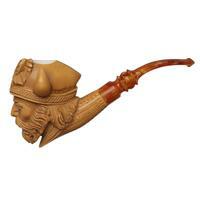 A full chamber of tobacco should keep her warm though, as well as develop a handsome patina across the intricately carved stummel. 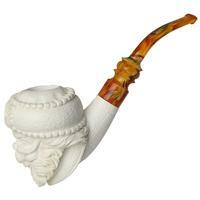 Bowl Height: 2.47 in./62.74 mm. 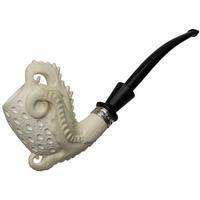 Outside Diameter: 1.18 in./29.97 mm.